This release features something we've been working at for a long time. Materials! We've had lots of input and requests for materials to create a more realistic and aesthetically pleasing spaces. Currently materials are only available for the bar object, but more will be coming later. We also remind you to update your GPU drivers if you haven't done so recently. It's important to keep them as up to date as possible to main good performance. Good performance is vital to helping clients have a great experience in VR. This release contains 6 new features and 2 bug fixes. Bar object. This greatly simplifies adding a bar to the back of the room. 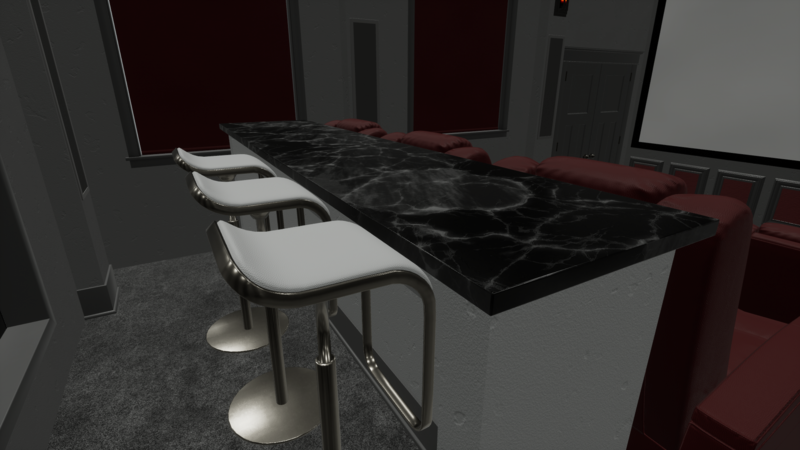 The sides of the bar can be toggled "on" and "off" and is the first object to support what we call "custom materials". 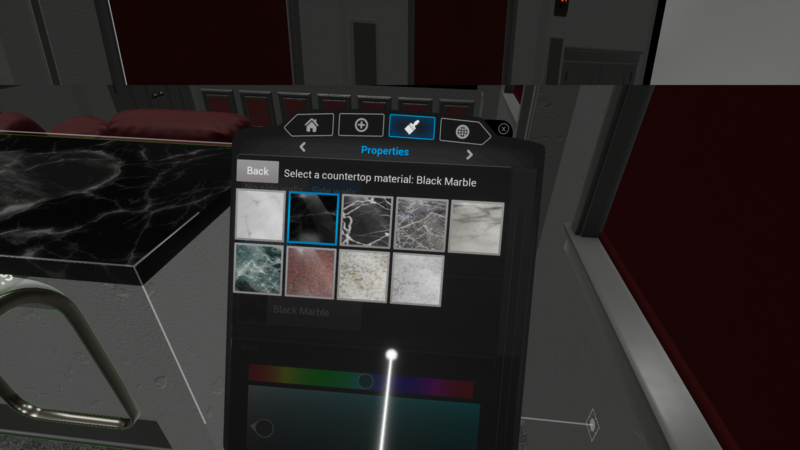 You can find the materials in the properties tab with the bar selected and choose between the different granite and marble options. More materials and support will be coming later. 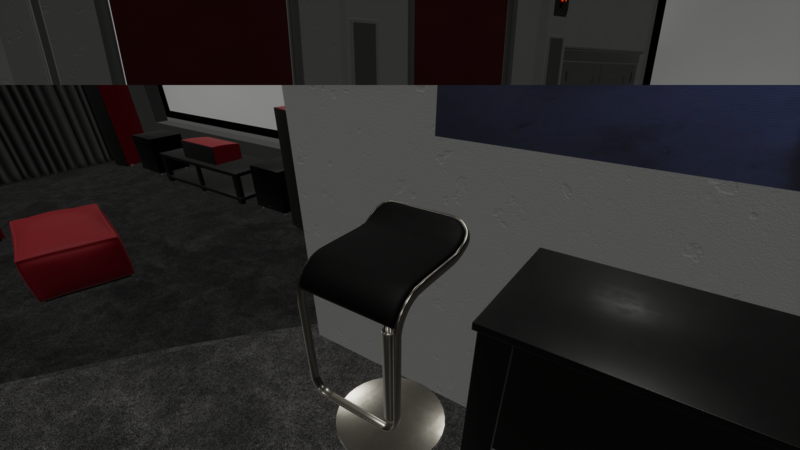 Along with the new bar object we've added a more modern looking bar stool. Added and interior window. These windows will only work on interior walls. These are super helpful in showing projector rooms or even an open doorway. Added a pool table. 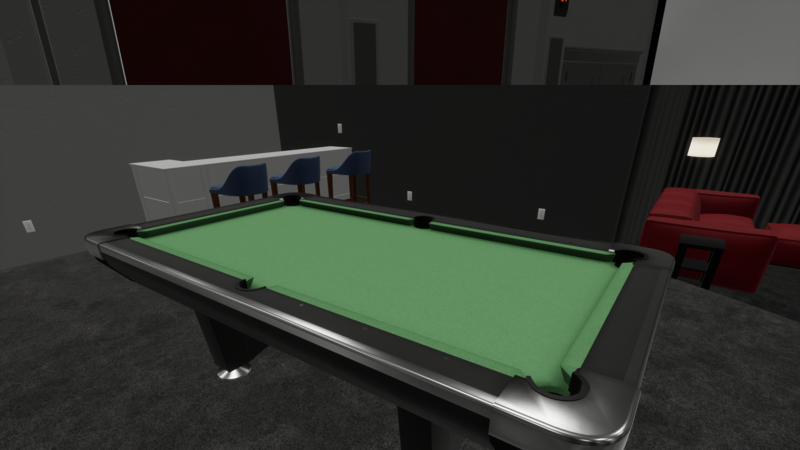 The pool table is configurable to all standard sizes 5 ft. to 12 ft. 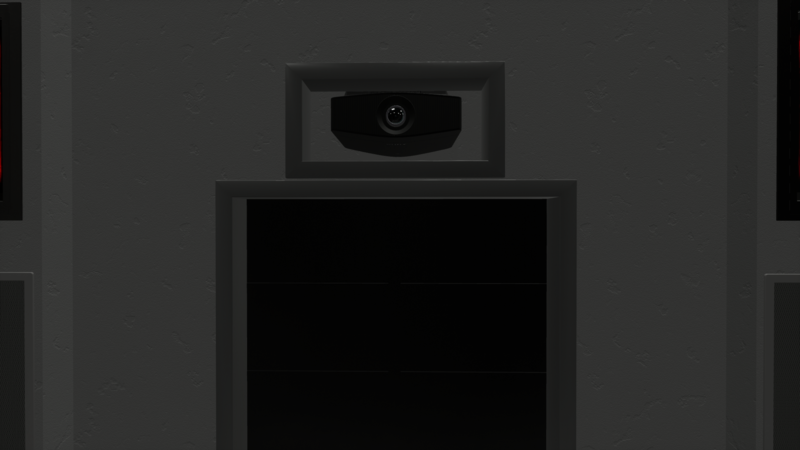 Renamed "pedestal" to "partial wall" and "wall" to "wall block" to better reflect each object's intent. Theater seating's rulers didn't update when the seating configuration changed. Various optimizations and performance enhancements.